In the 1600s, Sir Isaac Newton presided over a (bi-metal) Gold and Silver Standard, with the flaw being the fix of silver to gold. In the 1900s, John Maynard Keynes “revolutionized” economics, with the result being certain economic collapse. In both cases there was a logical error in the key definition of “price”, which is critical to the stability of the economy. This note examines the problem and then goes on to present a workable Gold Standard, which it is argued, is the most stable frame of reference for our economy. This crime is already 285 times bigger than the LIBOR scandal, and 500 times bigger than Madoff’s swindle. It is, in fact, the largest, most destructive financial crime in history. According to the mainstream financial media (MFM), the biggest financial frauds in history are the Bernie Madoff Ponzi scheme, with roughly $20 billion in net investor losses, and the Bank State rigging of LIBOR, which resulted in 16 guilty banks paying $35 billion in fines, which supposedly equated to their theft. The MFM have conveniently ignored a far larger financial crime that has been perpetrated for 37 years and counting, and that has netted its orchestrators more than $1,000,000,000,000.00 ($1 trillion) in stolen profits. This crime is so powerful that it can produce fraudulent proceeds of $1+ billion on demand and in minutes, making it unique in the annals of theft. It is a crime that has been committed literally thousands of times since 1980, and is now being committed in the most blatant and brazen manner ever. This crime is already 285 times bigger than the LIBOR scandal, and 500 times bigger than Madoff’s swindle. It is, in fact, the largest, most destructive financial crime in history. I would like to take this chance to share a few of my thoughts on this. To me it is pretty clear that the American gold is encumbered. Not because of the usual reasons found on the web but because America defaulted on its gold under the Nixon administration. There are still, many foreign claims on that gold. If America starts to use that gold officially, the gold vultures, like the bond vulture funds, will be out en masse and with force. So it is in America’s best interest to ignore that gold – and gold in general. The world has (finally) realized that a country with the reserve currency is not something a country should want and that the dollar can fail. The danger is that it will fail to soon. That is why the euro was created for example. The currencies from the individual countries were all issued from the US treasury. Meaning that if the dollar went the way of the dodo, the European currencies would die with it. Enter the euro, issued from gold [the euro was originally partially backed by gold]. The gold held by the ECB is priced on a mark to market basis. You can check the website of the ECB, its number one asset is listed as gold and, sadly, gold receivables [meaning that gold is leased out]. 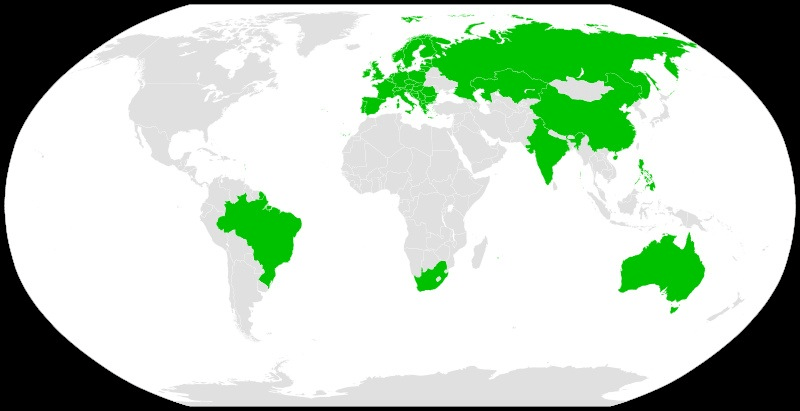 Most of the Eurasian landmass followed this initiative [pricing Central Bank gold on a mark to market basis] – for instance, the BRICS countries. All that is needed a rebalancing of the gold holdings of major countries. Enter China. They had way too little gold and way too many dollars. But last year they also started to mark their gold holdings to market. Seems to me the world is ready to hyperinflate into gold. After all, all currencies have already hyperinflated in the financial world. When the run on real things happens, as a system operator, you don’t want that since a functioning printing press is worth way more than gold. So you want to guide the hyperinflation into a useless metal and use this gold to help equalize the tradeflows. They cannot implement a global political & economic system when things are unstable because it will fail again and soon. Just as all reserve currencies did since late 1400. If I were in the position of the globalists, I would aim for the Roman model. Split the money concept. Currency for spending and settling debts but use gold and silver as a final debt extinguisher. This would function to prevent the kind of mess the EU countries are now in. The debts of the south are the assets of the North. This is a recipe for disaster. Let me elaborate on why I think that the world is ready to hyperinflate in gold terms. The Western public will not hold an asset that goes nowhere, at least in currency terms. The public in the East were never fooled that way. Some – I think rightly – joke “if one can only see value in paper currency terms, one cannot see value at all”. I also think gold is wealth and not money. Gold has always been funny in that way. So many people worldwide think of it as money even though its supply tends to dry up as the price rises. First the Comex will be thrown under the bus to destroy the paper leverage (price suppression) game. Maybe the LBMA as well though I would not be surprised as well if it’s allowed to stay alive. Then the prices can rise and the message will sent: “gold is the new wealth reserve to balance trade imbalances and then the Western hyperinflation will be killed.” Central banks lose most of their gold reserves (and that is good) and gold can do what it did for millennia again, settle trade imbalances. As usual, in historical terms, most of the average people wont have it besides a few grams. But it will be people, not institutions that control it and will help to create a decentralised counterforce to the centralized system we live in that is hopelessly out of touch with reality. Despite the warning shots aimed their way by an increasingly plundered and disgusted populace, it was clear that the Davos elite had not heard or sensed a thing. For them, it was full speed ahead with their plans to exert increased control over and wring greater profits from the embattled citizens of the world. One of the core principles of Inferential Analytics, the forecasting methodology we have developed and use, is that all happenings represent Life Forces in action. All Life Forces consistently strive to become stronger, expand their reach and achieve positions of dominance. They do not merely wish to survive; they seek to prevail. To illustrate, Greed is not simply an unquenchable thirst for money exhibited by certain people; it is a fundamental Life Force that drives those people, who are its hosts. Greed constantly searches for new ambassadors who will carry it to new heights of achievement. Occasionally, Greed hits the jackpot by locating particularly talented hosts capable of radically expanding its domain. An example being people who create slush funds that pose as “foundations,” in order to steal money intended for some of the poorest people in the world, such as Haitians. The criminally insane are particularly fine vehicles for the Life Forces of Evil, including Greed. Dr. Rummel proved that Genocide is another Life Force constantly striving to scale new mountains and seize new territory. Genocide, which is far from being done with humanity, instinctively knows, as all Life Forces do that it must adapt, modernize and transform itself in order to achieve even greater success as it plows through time. Life Forces will do whatever they must to invent new tactics, create new shapes, conquer new territory and set new records. They are paragons of evolution. And true to its innate instincts for high achievement, Genocide is currently evolving right before our eyes, which we can easily see if only we look. Genocide has realized that its destructive opportunities in this world are far greater than it had previously envisioned. It now understands that annihilating human beings is not its only form of expression. It can annihilate something even better: human freedom, a much larger target that is easier to destroy. It has reached the profound insight that it is impossible for people to be free if they are financially enslaved. And that financial enslavement can be engineered on a mass scale if people are buried in debt, made completely dependent upon bankers, and then systematically impoverished while having no means of escape. It has comprehended that 21st Century enslavement will be digital, and it is extremely excited about its future. In Davos, the Deep State oligarchs intensified their push for the elimination of cash. They recruited additional shills to help promote their agenda, including Dan Schulman, CEO of Paypal, and Columbia University Professor and Nobel Prize holder Joseph Stiglitz. They joined other Deep State operatives who have been beating the same cashless drum for some time, including Group of 30 members Lawrence Summers and Kenneth Rogoff, both of whom were also in attendance at the Davos full court press. An oligopolized, international digital payment system is the keystone of the Deep State’s globalist agenda, and a prerequisite to the implementation of full-spectrum, for-profit, transnational governance and control. The oligarchs realize that if they can gain control of the people’s money, then they can gain control of the people themselves. Accordingly, they are now pushing the agenda harder than ever, before the people wake up to its extraordinarily evil intent and ramifications, and rise up to reject it. We view the cash elimination agenda as Genocide staking a modern claim to 21st Century terrain, using a host even more powerful than governments: the Deep State Oligarchy that owns and controls them. Genocide is embarking on the equivalent of a corporation launching a new product line. We have named its new brand Currecide, which stands for the mass murder of currency. But it will go beyond that. Currecide will result in the annihilation of the people’s savings, and with it their freedom. Currecide represents the most pernicious, expansive and potentially profitable fraud ever committed against the people in history. The plan is simple, and if successful will produce epic returns for the Deep State perpetrators who are engineering it: trap the people’s money within their financial institutions, and then systematically plunder it via negative interest rates, transaction charges and constantly escalating monthly and annual account maintenance and other fees. As the people’s savings vanish, they will be forced to turn to the banks for loans, and the interest charges on their added debt will further impoverish them in a vicious, self-reinforcing cycle. The timing of Currecide is financially lethal to the people, because it is happening just as the pension funds and government entitlement programs are going bankrupt. Therefore, the people’s savings will be under attack at the exact time when they need them the most, in order to survive. Currecide will result in the imposition of an entirely new and incremental form of taxation: financial. The money generated by these financial taxes will not flow to governments; they will flow to the owners of governments: the bankers and Deep State oligarchs. In addition to rendering unto Caesar, the people will be forced to render unto Mammon. The financial self-interest of the hucksters of cash elimination is blatant. Paypal is in the business of digitized payments, and a payment system oligopoly will personally enrich Schulman. Summers is a director of Lending Club (digital money) and a “senior advisor” to Digital Currency Group (digital money). He, too, is expecting a big payday from Currecide. Virtually all of the academic promoters of cash elimination provide consulting services to or are otherwise funded by bankers, the orchestrators and beneficiaries of the fraud. The entire promotion is a tangled web of self-interest, greed and especially the lust for power, about which Rummel warned us so starkly. Gates made the Deep State’s true agenda crystal clear: First: addict hundreds of millions of additional citizens to the toxic, expensive drug it peddles: debt. This is what he meant when he said that a cashless, digitized financial system would enable people to “get loans at the push of a key,” and “make credit easier and cheaper for everyone.” With western citizens choking on debt, the Deep State must expand its horizons, and Gates is doing his part. Second: trap the people’s money within the banking system, with no option of cash withdrawal. Third: digitize humanity’s vital needs (such as for money) in order to gain maximum control, and make it possible to “turn off” trouble makers who are not on board with the globalist agenda being imposed upon them. The planned Currecide is incontrovertible proof that the Deep State oligarchs, and not governments are in control. There is not one elected representative in Congress we can find who ran for office on a platform that included cash elimination as a plank. To the best of our knowledge, the members of Congress have been completely silent on this subject. The cashless agenda is not coming from the people, or their representatives. It is coming from the Deep State bankers who intend to make a monumental fortune from it, at the enormous expense of the people’s financial independence and personal liberty. To protect your money and freedom, you must possess assets that are timeless and true. There are very few ways you can do this, and your current options will not exist forever. Supplies of the few things that can protect you are completely inadequate compared to the strong, upcoming demand that will wipe them out. We say this again and again, because it is so important. In our research, we see no greater threat to the people than Currecide, given its fundamentally evil design and sweeping, destructive ramifications should it take hold. In our view, gold and silver can help protect you as few other solutions can. We urge you to beware the Normalcy Bias, which tells you there is no rush to act, because the system has basically held together thus far, and therefore, it always will. The Normalcy Bias, which is a powerful psychological force, puts one at extreme risk. We hope you will seriously consider taking action now, while you can, and ignore the Normalcy Bias’s Siren song. We write solely in an effort to inform and, we hope, help people. We are not metals dealers, securities brokers or financial advisors, and we earn no compensation whatsoever from what we report to you, or suggest. Enter the New York Times – where the truth goes to die. The mainstream media has an obsession with demonizing gold. It’s the metal of terrorists; it’s a pet rock; you can’t eat it; it doesn’t pay interest…and now the NY Times is connecting the ownership of gold with Bin Laden. Why even bring this up? Bin Laden has been dead since 2002 (kidney failure) 2011. Of course, the NY Times has morphed into little more than a propaganda mouthpiece for the elitist interests that control it. In that regard, the NY Times article associating Bin Laden with gold ownership reflects the growing concern of the elitists over the slow but steadily growing interest in precious metals ownership by the public. But the U.S. Government’s policy of eradicating the legitimacy of gold as currency goes back the 1970’s. Discussion and education about gold as a currency was systematically eliminated from the educational system in the early 1970’s after Nixon removed any connection between fiat currency and gold. As an economics major in undergrad (1981 – 1985), I took some financial economics courses. Gold was never mentioned. I studied financial theory at the U of Chicago B-school (1989 – 1991) from the same professors who wrote the finance textbooks I used in undergrad. No mention of gold in any respect, not even for historical perspective. 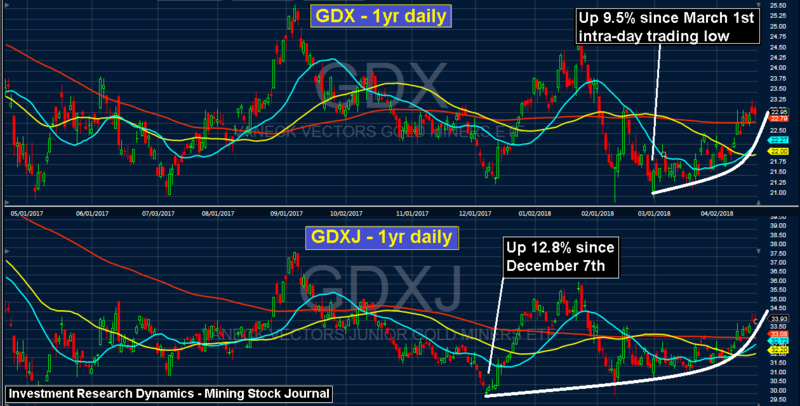 Now that gold’s long term bull market is beginning to re-emerge, articles which disparage if not vilify gold are appearing in “respectable” mainstream media publications like the NY Times and Wall Street Journal. Perhaps if the NY Times et al were interested in digging up real news about gold, these publications would looking into the dealings by the U.S. Treasury and the Federal Reserve with respect to the 8,100 tonnes of gold allegedly held in storage at Federal Reserve vaults. If gold is no more than a “pet rock” that “just sits there doing nothing” (Warren Buffet’s comment about gold) why is the Fed intentionally non-transparent with respect to its trading activities in gold? After all, the Fed publishes daily disclosures about its trading activities in its U.S. dollar fiat currency. An entity called “Bloomberg Intelligence” published an article which asserted that the price of gold would need to be $64,000/oz in order for China to back its currency with gold. Unfortunately, the article lacks any meaningful depth of intelligent analysis. Additionally, there is a glaring absence of documented assertions and reference-base facts to support the article’s thesis. We’re not sure who ‘Bloomberg Intelligence’ is or from where they are gathering this “intelligence”, but it would be helpful if they dealt with some of the commonly known facts about China’s gold hoard which we cover daily here at SGT Report. When Larkin and Van Der Walt claim “A traditional gold standard, in which the precious metal backs the currency, is basically impossible at current prices due to the amount of metal needed“, one wonders what in the world they are trying to say. Are they referring to the total amount of Dollars in circulation worldwide? Are they referring to the total fiat money quantity (FMQ) which we have discussed at length with Gold Money’s Alasdair Macleod? Regardless, a $64,000 per ounce gold price itself would be the direct result of re-pricing the oceans of fiat in circulation to the relatively tiny amount of physical gold. Once again we see obfuscation of the facts from the mainstream mockingbird financial publication Bloomberg. First, the authors claim that 10,000 tons of gold is NINE TIMES more than China’s “official holdings”. While that may be true, certainly Larkin and Van Der Walt are aware that China now likely holds far more gold than its officially reported total of 1,054 tons. In fact, unless Larkin and Van Der Walt are entirely incompetent imbeciles, they must be aware that even the mainstream mockingbirds at Market Watch are reporting that China is about to come clean about how much gold it really owns. Obama has made the claim that the U.S. Government spending deficit “narrowed” from about $1 trillion to $483 billion in the Government’s 2014 Fiscal Year (Oct – Sept). But this is not possible. Why? Because the amount of Treasury debt outstanding increased from $16.74 trillion to $17.82 trillion during the Government’s 2014 fiscal year (LINK). Once again, Obama has lied blatantly to the public. Based on the amount the Treasury debt load increased, the true spending deficit in FY 2014 remained at around $1.1 trillion. The debt ceiling has been raised 13 time since 2000. It’s been raised 6 times since Obama took office and suspended twice. “Suspended” meaning that the debt ceiling was removed temporarily. In February 2014, Congress voted to waive the debt ceiling limit, which had been set at $17.2 trillion. The current amount of debt outstanding is $18.14 trillion (LINK). This “auto reset” expires on March 15, 2015. Once again the public is going to have endure the absurdity of the Kabuki Theatrics conducted by Congress as they “debate” the issue of raising the ceiling. We can be guaranteed it will happen at the very least to ensure Congressional paychecks and perks continue flow uninterrupted. The U.S. Government prints and issues Treasury certificates just like the Fed prints dollars. When QE began, the Fed started with buying the garbage mortgage paper from the big banks. In November 2010 it began to print money used to finance new Treasury issuance. Between that time and October 15, 2013 – when QE formally “ended” – The Fed was the biggest source of funding for new Treasury issuance. It bought over two-thirds of all new Treasury debt. Since then, Japan and the EU countries – U.S. lapdog countries – have been the primary suppliers of green heroin to the U.S. Government. And now the Obama Administration, led by Jacob “Jack” Lew, are back to feeding at the hog trough by asking for even more debt. This is debt that will never be paid back. Debt issuance like this is also unsustainable. Either the Fed/Treasury dynamic duo will eventually be forced to engage in hyperbolic money printing or let the Government financially collapse. I don’t see the latter happening, which is why the former seems inevitable. Perhaps this is why Alan Greenspan, in a continuance of his endeavor to salvage his legacy as “The Maestro,” has admitted that the U.S. is on the verge of “explosive inflation” (LINK). All of the above would not be possible in a world in which the money supply is anchored by a gold standard. Humans, especially politicians – Fed members are ambiguously yet unequivocally politicians – can not be trusted to manage the money supply on their own. Gold provides the requisite guard rails.